Here is a private major update of SAS Engine MOD 2.7 ---- SAS Engine MOD 2.8.14 western Full-package. Last main update is 04th/Mar./2019 . When you'll face some compatibility problem with 2.8.14w , please test older generations 2.8.3w, 2.7.5w or 2.7.3w in Reply4. Some planes exploding or game crashing may come from their flightmodel incompatibility or bad manner java codes on aircraft class or weapon classes. Fundamentally each plane's side / each weapon's side rework is the best. Engine mod cannot solve aircraft side java problems. This Engine MOD 2.8.14w needs new FuelTank codes when the aircraft has Air-Refuel function or uses special fuel display code in its cockpit. Old code aircrafts make compatibility problem and crashing. The new patches to solve them is in my 3rd post. Some old mods contain the classfile 22164244D5800CDC (FuelTank.class) and make conflicts today's Engine MOD 2.8.12w. Search this filename and delete in your #SAS folder. In example, "! 00_WeaponsPack" , "!_F16A&C" have it in each folder. When you face crashing on F/A-18 or AV-8B+, F-16 in changing cockpit HDD screen with the loadout of droptanks, in somewhere of your #SAS folder, the classfile 22164244D5800CDC still exists and makes the conflict. Old Missile.class also makes conflicts. Check 1C8CA74ED09F70F4 , 8A7D32CCADFC28DC , 26AB556A169AE702 , 16538F18B6A41E40 , FBF92726A3A9E5F8 and delete old files. Old classfiles of Laser targeting, Radar targeting have serious unsafe problem. I fix them in 2.7.3w on 18/Feb/2017 , but when old classfiles are rest in your game folder, they continue to make danger problems. Please delete these three classfiles from your game folder by yourself before installing Engine MOD. When you've installed those mod Jets folders, they may have them inside. "! 00_WeaponsPack" , "!_F16A&C" , "L-39 pack" , "Su-25" or other I don't know. About "! 00_WeaponsPack_Gen2016" and "!!! 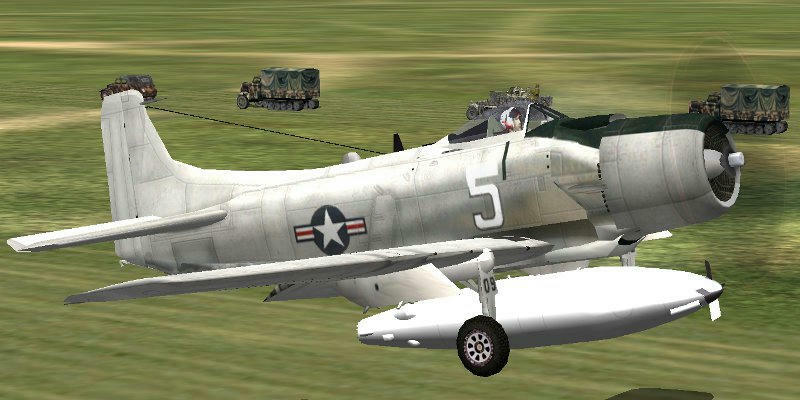 !_US_Marine_Aviation_Java_Pack" , please once delete and clean install latest versions (at least 24th/Nov./2017 ones). Today's mod replaces i18n/ controls.properties and hud_log.properties (with their multi language files). When you've touch those files already, please merge 2 into 1 with your hands. Catapults.ini also has only minimum entries. You have to add your installed carrier catapult lines by yourself. Old modded control keys (like refuel device, Rocket select) have to be assigned again. Today's version has 6x different branches to enable others' visual or sounds effects only you need and want, and +2x your hand maid versions. Please take care which one you choose. ----> Total 8x different branches!! And when you report me the bug you face, please make clear which patch you use onto how modded game. + Simple Engine MOD 2.8.14w , no additional visual / sound effects version. + JapanCat's Merge Effects and Engine MOD 2.8.14w, but no others. Adding start-up and full-throttle flame visual effect. + Engine MOD 2.8.14w and adding engine exhaust flame visual effect. + JapanCat's Merge Effects and Engine MOD 2.8.14w and adding engine exhaust flame visual effect. - "Open/Close Side Hatch" key bind is not saved to user setting file. - fix the bug in pushing game speed lower key, the game makes an error when a catapult is used by an aircraft. - Fixing Cockpit sound bug on Seaplanes. - Fixing wings are folded in the mission spawning on Carriers, but when the deck is full and aircrafts become air-starting. - "Dump Fuel" function enables total 3x dump points (visual effect points) on the aircraft. - Very heavy aircrafts like Tu-95 can do level flight following mission waypoints. - Heavy or Fast Jets can take-off smoother. - Heavy or Fast Jets can land smoother. - 8x engines plane is correctly supported. - "Radar Range Minus" key bind's internal number duplication. -- When "CatapultReferMissionYear=1" line is written in conf.ini [Mods] section , catapults' power is decreased by mission year in 2 steps earlier than 1953 or earlier than 1946 for backward compatibility. - Player cannot use full Autopilot carrier catapult launching. After jumped-to the catapult by Autopilot, Player has to disable Autopilot and release Chocks by manual. - Once pushing Missile select key is needed after missions start, to avoid different missile will mis-fire. (not a bug) - When modded aircrafts use danger TypeSemiRadar or TypeGroundRadar code, they will crash with today's safe version. It's aircraft side problem and fixing are needed on them. - Very heavy aircrafts like Tu-95 cannot keep waypoints' altitude correctly (middle weight ones 100 ~ 300 meter lower, heavy weight ones 400 ~ 800 meters higher). - Fast Jets / Heavy aircrafts continue nose-up and nose-down around waypoints' altitude. (not a bug) - In moving Stationary Plane set position on FMB screen with Chock 3d visual enabled, Chock models are left on the first place instead of following the owner plane. Known issue only on FMB screen, but no damage to mission proceeding. No plan to fix (looks too difficult to do). - Some Stationary Plane's Chock 3d models are set funny tilted. I cannot find the situation the bug comes. Hard to fix. - AI Jets friendly-fire AAMs. - AI Jets fire AAMs against ground targets. In conf.ini , add these entries to enable Stab4all or Pablo's Chocks / Gears mod, etc. RunwayLightsKeepOnSeconds=300Without the line of "Stab4all" , it is disabled (or written as =0 means disable). Other lines also deleted or "=0" mean that line function is disabled. You can enable the functions only you like. - Stab4all .... Stabilizer for all aircrafts. - PALShowCatGear .... Pablo's Gear mod (early Beta testing), showing catapult gear model when the aircraft is set on the catapult. - OldCatapultPowerCode .... "1" forces reading Catapults.ini Power and PowerJet values to decide catapult pushing power. - DumpFuel .... Dump fuel. - RealisticRadarSelect .... "1" needs Semi Active Radar Lock-on operation for SARH missiles AIM-7 etc. - RunwayLightsKeepOnSeconds .... extend or shorten the seconds Runway lights made turn-off from last player's turn-on request. "300" means 300 seconds = 5 minutes. Stock game is 90 seconds, Engine mod 2.7 ~ 2.8.x default is 180 seconds. You can set this entry from "60" to "1800" (from 1 minute to 30 minutes). In using PALShowChocks with "1" or "11", the WARNING lines of many many "Shadow cannot scale" will be recorded in the logfile. That is stock game bug and cannot fix in modding. conf.ini entry to control Chock 3d models showing with ground staff , AI behaviors. XY means Two digit (decimal) integer. X = blank or "1". Y = "1" / "2" / "3". X (decimal 10 unit) means AI / Stationary Planes' Chock use with 3d visual. Y (decimal 1 unit) means Ground staff human model control. "1"=Pablo's code with random human size variation, but HW shadow warning lines are recorded in the log. "2"=No random human size variation; fixed size human model is used to avoid HW shadow warning lines, but sometimes Taxi to Take-off AI makes disturbed exception error or continues circling on the ground. "3"=No Ground staff human model, only Chock 3d models are shown; no troubles but a bit boring in visual. conf.ini entry to control Less verbose FM loading log and Objects (Ships, Tanks, Vehicles, Artillery) loading log. You can choose those 5x logging cases Enable / Disable indivisually by one value. When you don't know enough about binary, please sum Decimal columns only you want to enable. n is an integer value 0 , 1 or 2. 0 = No log lines even some objects contain serious loading errors. 1 = Short lines for error logs. 2 = Full lines as same as stock error logs. When you write this line in your conf.ini , Full Throttle Flame visual effect becomes canceled. No need to replace to non-Full Throttle Flame version at the time you don't want it. WepEffect=0Its default (no conf.ini entry) works Drawing its effect as same as "WepEffect=1". Not compatible single MOD of Stab4All. Its feature is fully implemented in mine. Not to install it or enable in JSGME. Not compatible single MOD of Less verbose FM loading log. All features of his MOD is now contained in mine. 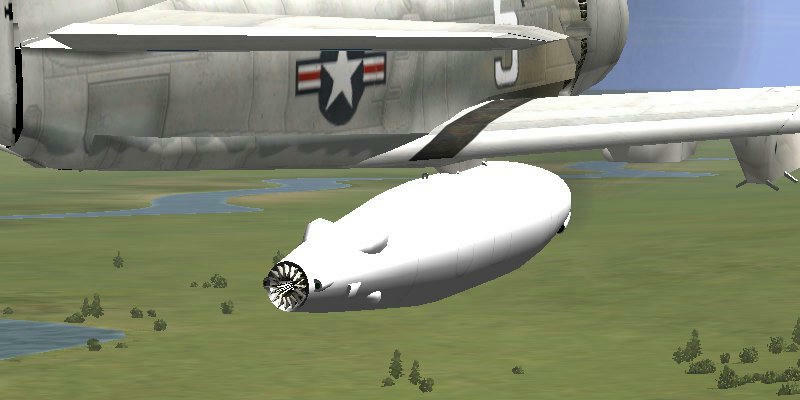 Other Carrier Take-off (CTO) MODs or Catapult MOD also make conflicting, not to enable, even they are released in SASModAct contents in JSGME. His old package makes a serious conflict to new mine. Canopy closing needs aircraft side new parameter in FM files. Old FM not having canopy parameter and it doesn't work. Please use latest compatible FM. Enabling Ships' Guns and Missiles to aim and shoot enemy cruise missiles ---- is a part of AI/Torpedo Ship Extension mod 2.22.0 .
expanded FM entries are described in the superschool topic. It is compatible to simple Engine MOD 2.8.14w and Merge Effect + Engine MOD 2.8.14w .... without Full Throttle Flame. + SAS Engine MOD 2.8.14w and merging PAL's sound classfiles. You have to install Pablo's mod and my Engine MOD 2.8.14w simple version (and its patch if exists). + JapanCat's Merge Effects and Engine MOD 2.8.14w and merging PAL's sound classfiles. You have to install Pablo's mod and my "JapanCat's Merge Effects and Engine MOD 2.8.14w, but no others" version (and its patch if exists). Containing all today's outside effects applying, Pablo's cockpit sound and start-up / full-throttle flame visual effect. + SAS Engine MOD 2.8.14w and full-throttle flame, Pablo's cockpit sound. + JapanCat's Merge Effects, Engine MOD 2.8.12w and full-throttle flame, Pablo's cockpit sound. By those Pablo's Cockpit sound mod versions, you'll see those error lines in your logfile. java.lang.NullPointerExceptionThose lines will be written in times of enemy shells hit or under heavy G-stress. I think Pablo's mod side edit is needed to fix them. When that will be done, I'll import it into my works. Or ..... only install his newer fixed version will be OK.
Patching existing Jets to make compatible of Refuel / FuelTank code. Latest patch8 is released on 13th/Feb./2017. - F-16 radar screen sometimes buggy. - F-16 left HDD in Engine Status shows incorrect values in some lines. - The function of "Open/Close Receptacle cover" is omitted on A-7D and F-16. - F-100's Gear Damage FX code is once omitted till unsafe "static" problem will be solved. Patch ready in above link for those Jets. New D-704 Refuel store model screenshots. Modelize in historical size and shape with nose Ram-Air Turbine. Better LOD models in low polygons and shadows. Ram-Air Turbine becomes rotating in flying speed. The folded drogue is shown. Refuel status indicator is ready. Orange and Green lights show refuel status. Refueling is decided by flying height and speed. About difference of internal refuel working from old refuel codes. The tanker uses droptanks' fuel first to send instead of main tank only. The receiver fills main tank first, and droptanks next. Instead of main tank only. The fuel sending rate is variable by 2 way interface between the tanker and the receiver ---- request and send. This mod is an optional one for Engine MOD 2.7.5 / 2.8.2 - 2.8.5 western. In ONLY the time you want , install it. Add Ordinance View (cut-out from 4.13m stock game function). This mod conflicts to Pablo's Visual mod V9 or other External View tweak mods like Camera mod. NO way to avoid that conflicting. When you want to use Pablo's Visual mod V9 or Camera mod etc. , not to install this mod. No future plan to solve the conflicting in my side. Last update on 28th/Apr./2018 . Patch to 2.8.4w on 23rd/Apr./2018 version. Previous versions looked like supporting 8x engines , but that implementing was incomplete one. Today's 2.8.5w finishes 8x engines implement. Here are backups of stable SAS Engine MOD 2.8.3 western on 19th/Mar./2018 and its Beta patch 03rd/Apr./2018. Full packages released between 18th/Dec./2017 ~ 19th/Mar./2018 contain Beta AI patch of 06th/Dec./2017 inside. And this newer Beta patch on 03rd/Apr./2018 has reworked AI Jets taking-off codes, but not enough tested as guaranteed stable. you can revert AI workings into 24th/Nov./2017 or 06th/Dec./2017 ones .... and update to 03rd/Apr./2018's again by this archive. Those 6x classfiles are common to all main full packs. + Simple Engine MOD 2.8.3w , no additional visual / sound effects version. + JapanCat's Merge Effects and Engine MOD 2.8.3w, but no others. + Engine MOD 2.8.3w and adding engine exhaust flame visual effect. + JapanCat's Merge Effects and Engine MOD 2.8.3w and adding engine exhaust flame visual effect. + SAS Engine MOD 2.8.3w and merging PAL's sound classfiles. You have to install Pablo's mod and my Engine MOD 2.8.3w simple version (and its patch if exists). + JapanCat's Merge Effects and Engine MOD 2.8.3w and merging PAL's sound classfiles. You have to install Pablo's mod and my "JapanCat's Merge Effects and Engine MOD 2.8.3w, but no others" version (and its patch if exists). + SAS Engine MOD 2.8.3w and full-throttle flame, Pablo's cockpit sound. + JapanCat's Merge Effects, Engine MOD 2.8.3w and full-throttle flame, Pablo's cockpit sound. Here are backups of stable SAS Engine MOD 2.7.5 western on 25th/Oct./2017. + Simple Engine MOD 2.7.5w , no additional visual / sound effects version. + JapanCat's Merge Effects and Engine MOD 2.7.5w, but no others. + Engine MOD 2.7.5w and adding engine exhaust flame visual effect. + JapanCat's Merge Effects and Engine MOD 2.7.5w and adding engine exhaust flame visual effect. It is compatible to simple Engine MOD 2.7.5w and Merge Effect and Engine MOD 2.7.5w .... without Full Throttle Flame. + SAS Engine MOD 2.7.5w and merging PAL's sound classfiles. You have to install Pablo's mod and my Engine MOD 2.7.5w simple version and its patch. + JapanCat's Merge Effects and Engine MOD 2.7.5w and merging PAL's sound classfiles. You have to install Pablo's mod and my "JapanCat's Merge Effects and Engine MOD 2.7.5w, but no others" version and its patch. + SAS Engine MOD 2.7.5w and full-throttle flame, Pablo's cockpit sound. + JapanCat's Merge Effects, Engine MOD 2.7.5w and full-throttle flame, Pablo's cockpit sound. Here are backups of stable SAS Engine MOD 2.7.3 western on 19th/Apr./2017. + Simple Engine MOD 2.7.3w , no additional visual / sound effects version. + JapanCat's Merge Effects and Engine MOD 2.7.3w, but no others. + Engine MOD 2.7.3w and adding engine exhaust flame visual effect. + JapanCat's Merge Effects and Engine MOD 2.7.3w and adding engine exhaust flame visual effect. + Update SAS Engine MOD 2.7.2w and merging PAL's sound classfiles. You have to install Pablo's mod and my Engine MOD 2.7.2w simple version and its patch. + Update JapanCat's Merge Effects and Engine MOD 2.7.1w and merging PAL's sound classfiles. You have to install Pablo's mod and my "JapanCat's Merge Effects and Engine MOD 2.7.2w, but no others" version and its patch. + SAS Engine MOD 2.7.3w and full-throttle flame, Pablo's cockpit sound. + JapanCat's Merge Effects, Engine MOD 2.7.3w and full-throttle flame, Pablo's cockpit sound. And as usual with the Merge Effects i lose the laser spot on the ground (SU 25,F 16,F 18). Thanks your feed back, taskf53. I replace JapanCat's Merge Effect packages with same effect files of standard ones. The archive names are changed into "_20160924_". A, western, there is a problem with Japancat merge effects. I shoot a Aircraft and it stops. I don't know what happened, I keep a normal ones. The Simple update Engine MOD 2.7.1w , no additional visual / sound effects version is OK, No problem for this one. Thank you about your error report. I'll check and fix it. Need some days. Thanks Western, I know you are the Best.